Super cute and updated ranch with 4th bedroom in lower level. 1.5 baths plus a full bath plumbed in the basement. Living room, big eat-in kitchen with bay window PLUS open to family room with fireplace. Big fenced yard to enjoy from 2 covered patios. 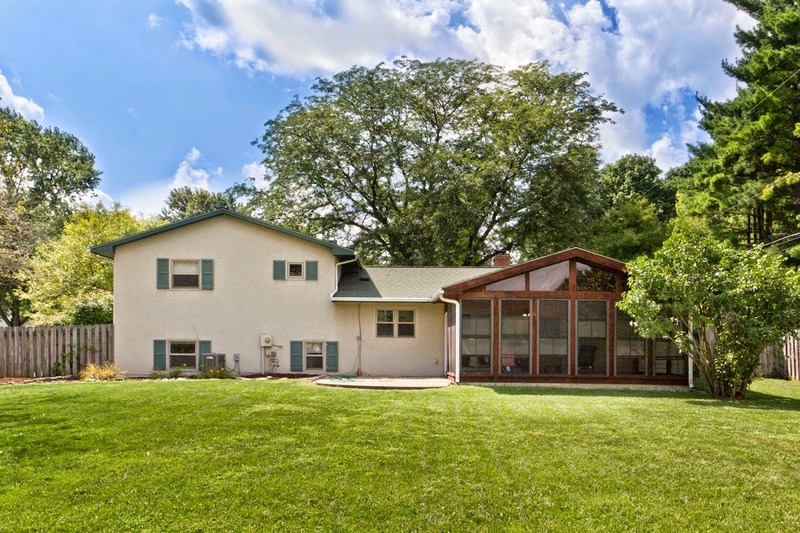 OPEN Sunday, July 20 from 1-4pm.Move in ready one story on low traffic street in Forest Park West. Roomy eat-in kitchen open to family room. Updated kitchen cabinets, counters, appliances, flooring, lighting. Remodeled baths. Full basement with finished side. Concrete patio, fenced yard. Very well maintained home. Front porch with view of tree line of Woodwark Park. Hidden Gem nestled in a convenient area of Columbus Ohio. Single family homes and condominiums available for sale. The market is so hot right now for homes that have been updated and are staged to sell! Buyers are working hard to find homes to purchase in Northwest Columbus. Call Joan Defenbaugh today to find out more about how she and Keller Williams Capital Partners can represent you as the home seller. You will be provided with a no-obligation Home Value Review. Also available is a "room by room" property analysis - to fine tune the Home Value Report based on improvements that you have done since owning your home. Tell us about your property by filling out the form here. You will be contacted by Joan directly. The entire Columbus real estate market has a low inventory of homes for sale. Indian Hills has had a few homes sell over the first 4 months of this year. If you are curious about the current value of your Indian Hills home, please call me today. I can meet you to go over the recent statistics and compare your home to the homes sold. If you are interested in buying a home in Indian Hills, please connect with me today. I will help you prepare to be a ready, willing and able buyer for the next home to come on the market. KW Mobile App - Dowload iOS or Android! 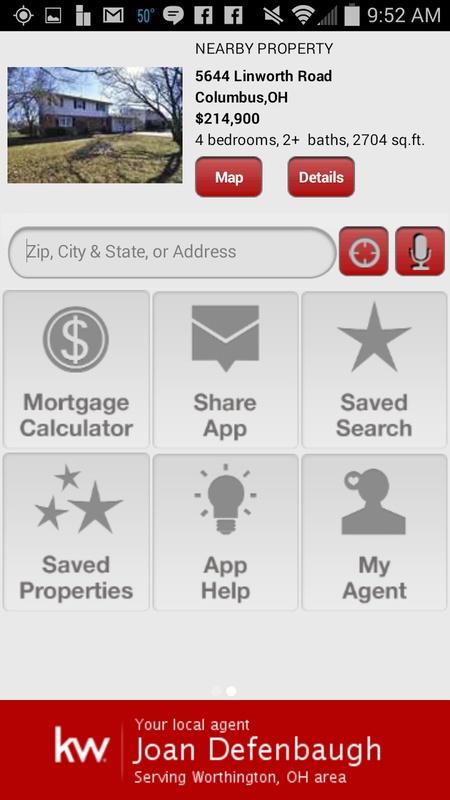 The best mobile app for Real Estate! Downloadable for iOS or Android from your app store. 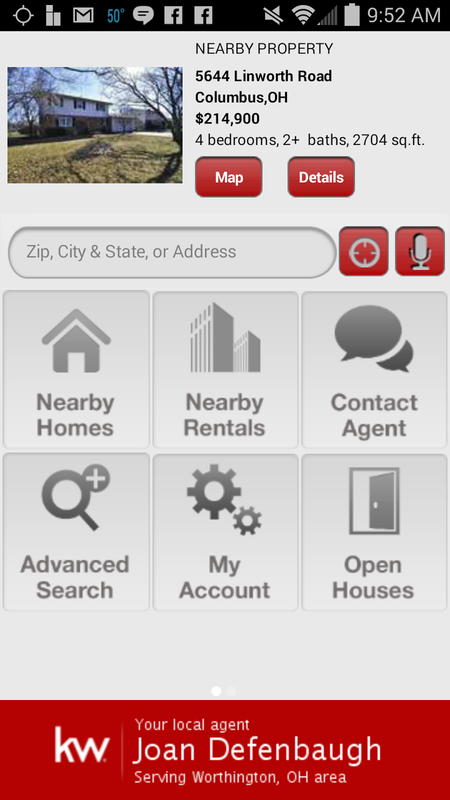 What is so great about this app is that it automatically pulls up the homes for sale closest to your GPS location. You can draw a circle on the map and search in an area or search by the usual criteria of zip, city, etc. Love to hear feedback. You can share the app too! 1. If you already have my app, swipe left from the home page and tap Share App. 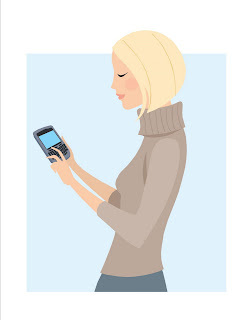 Enter your friend's cell number and they will get a text message with a link to download the app to their phone. 2. Go to my download web page at http://app.kw.com/kw17dtngm on a computer and enter the cell number of the person you want to share the app. They will get a text message with a link to download the app directly to their phone. 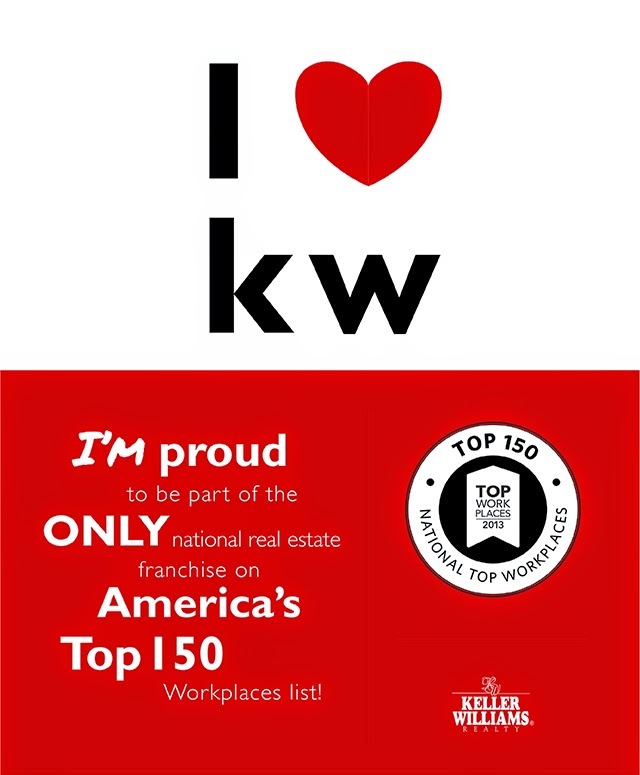 If you want to know more about Keller Williams, contact me. I am happy to share my experience with you. We are always searching for new talented agents and team members. Real estate experience is not necessary, but a desire to do and be the best you can be is a must. When you get to the point in your home search that you know the area and specific location that fits your needs, your real estate agent will help you drill down the exact details about school district map boundaries. Sometimes the school websites show boundary maps, but they might not be current. It's always good to call the school district and double check the address to make sure your new home is in the school district that you selected. For example...there are several school districts in Columbus and the Central Ohio area that fall in to different cities, but have the same school district. Worthington Schools covers some addresses in Columbus, Westerville and Powell Ohio in addition to the City of Worthington Ohio. Click the links below to view homes for sale in a specific school district. Joan Defenbaugh REALTOR - Keller Williams Capital Partners will help you through the home buying process. Call Joan today to set up a Buyer Consultation. Oh look! 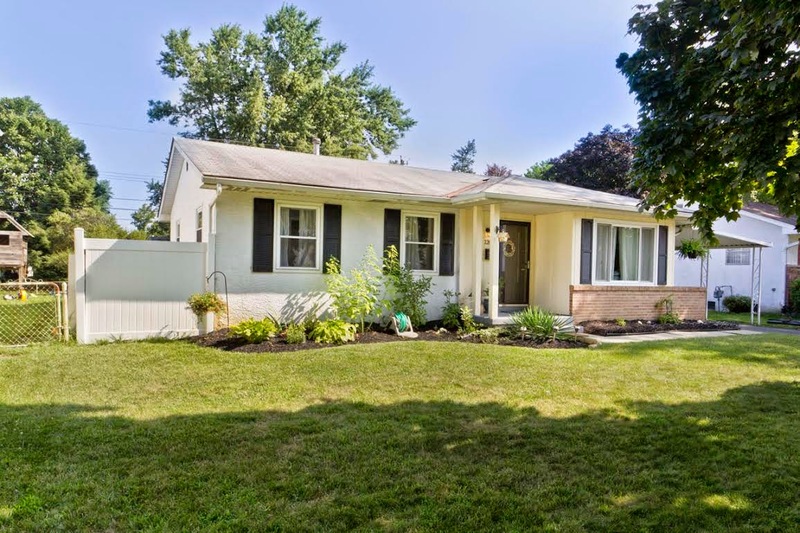 A new listing in Grandview, Ohio ! Grandview Ohio homes are "flying off the shelves" - This agent has a "Sale Pending" sign in her car. She is going to go back to her office before her next home value consultation while many Buyer Agents with buyers come through the house today. Multiple offers will arrive in the next several hours. It will be sold very, very soon. Sounds like a little story, doesn't it :) That is no fairy tale! This is the 2013 real estate market in Grandview Ohio and other Central Ohio cities like Upper Arlington, Worthington, Dublin, Westerville and Powell Ohio. Joan Defenbaugh has developed a winning strategy for home sellers. We are getting great results for our clients and we are looking for more home owners to consult with this week. If you are serious about selling and you know you need an awesome strategy to help you reach your real estate goal, call today! Columbus Ohio Housing Recovery. Does this mean your home is worth more? 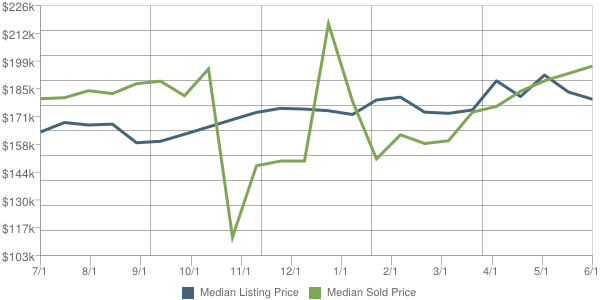 Home prices as shown on the graph are fascinating to see in this format. Columbus Ohio Housing Recovery? Does this mean your home is worth more? When I hear from a home seller who bought a home in 2005 or 2006 with a no down payment loan or low down payment loan - I already know that my conversation will be different than if I was speaking with a home seller who purchased a long time ago. How do you tell someone that they got caught in the troubled times. Logic would say to stay put and don't sell until your home value is up to where it was when you bought it. There will always be exceptions at both ends of this thinking, but realistically - the home you purchase later will cost more too. Life circumstances will also dictate when someone moves. A job transfer or family issue will sometimes override any financial issues. Home sellers need to work closely with a Realtor and look at all of the numbers for not just the home sale, but for the home purchase. Personally I would rather make payments on a house that I WANT to be in rather than the one I know I will eventually sell. If you can't sell for what you think you want now, it's ok because the one you are buying will increase in value. If it's a "move up" purchase, the home value can rise more quickly in the next home. The graph is a photo of a slide show presented by Gary Keller. It is so obvious that those few years of a visible bump in home sale prices was what got us in trouble. Some home owners unfortunately borrowed that ghost equity. Even if we don't go back to a 4% appreciation, a lower appreciation rate will still get us back on track eventually. When we bought our first home in Columbus, Ohio. we knew that we could calculate a 4% increase in value for each year we lived in the home. We actually sold the house 8 1/2 years after purchasing for $61,000. If the appreciation rate was 4%, we should have been able to get around $125,000 for it. It needed a new roof, furnace and A/C, so I'm sure it would have sold a little bit higher had we replaced those 3 large ticket items. We were not unhappy with our selling price at all. We sold in a matter of weeks. July 1998 we purchase our home for $165,000 (It was on the market for a year and need a ton of cosmetic work!) We looked at this house 6 times before making an offer, but I was a Realtor and I could stop in to take a look whenever I needed to see it "one more time." Homes in our neighborhood of Indian Hills, Columbus, Ohio that are similar to our house (before we added a mother-in-law suite) are selling between 185,000 up to $265,000. We have lived here for almost 15 years. If we sold our home now (and had not added on to it) I would guess that we could sell for around $215,000 according to the most recent home sale statistics in our neighborhood. Home sale prices remained steady in this subdivision until about a year or so ago. It was like a delayed reaction to the 2006 market shift. Home prices in 2006 in our neighborhood were higher. Not much, but they were higher. At one time there were 11 active listings. Now there is 1 and it's in contract. Currently, this area of Northwest Columbus Ohio is having the "problem" of low inventory. Not enough homes for buyers. Multiple shoiwngs on the first day and multiple offers on new listings. THAT is this market! Home prices will eventually go up because of Supply and Demand. They have a ways to go, but the higher priced homes will appreciate faster than the lower priced homes. The graph shows on average that prices are back to around 2006 levels. A year or so ago, we were seeing prices at the 2001 level. The #1 Question we get on a daily basis now is "What is my home worth in THIS Market?" It's tempting to list higher, but it doesn't work. We are seeing homes sit on the market at almost the price that would make a buyer feel compelled to make an offer. Days on market are very telling now. If a home is priced well, it's G-O-N-E.
Offers are more detailed, inspections are more in depth, terms and conditions are specific. Our buyer clients are well prepared. They have to be. Sellers are more prepared - they have to be as well. What are people talking about in your area? Get Connected and together, we'll get it done. We have buyer clients looking for homes to buy. We have hundreds of website visitors who signed up for listing alerts. They are watching our website for new listings to pop up on the market. Joan Defenbaugh specializes in selling homes that did not sell the first time. Call today (614) 313-4196 to set up a FREE, no obligation home value estimate. You can watch the market where YOU live too. Click here to sign up for Market Insider. Golf, Country Club, Swimming Pool, Community Events. It's all in Worthington Hills. Fill out the form and we will respond quickly. Located off of Olentangy River Road, just North of the I-270 Outerbelt. Around 1000 homes are located in this community in the Worthington School District. Homes were built mostly in the 1960's. Many home owners have updated their homes. The home styles range from one story homes, three level splits, four level splits, bi-level (raised ranch homes) and the popular two story home. The elementary school is located in the community. Middle and High Schools are nearby. Here is an aerial map view of the small community. Worthington Hills Shopping Center is just across the street from the entrance of the subdivision and includes a grocery store, small shops, dining and cafes. Kemp & Co REALTOR®, Brad Marquis has called Worthington Hills his home for 30 years. 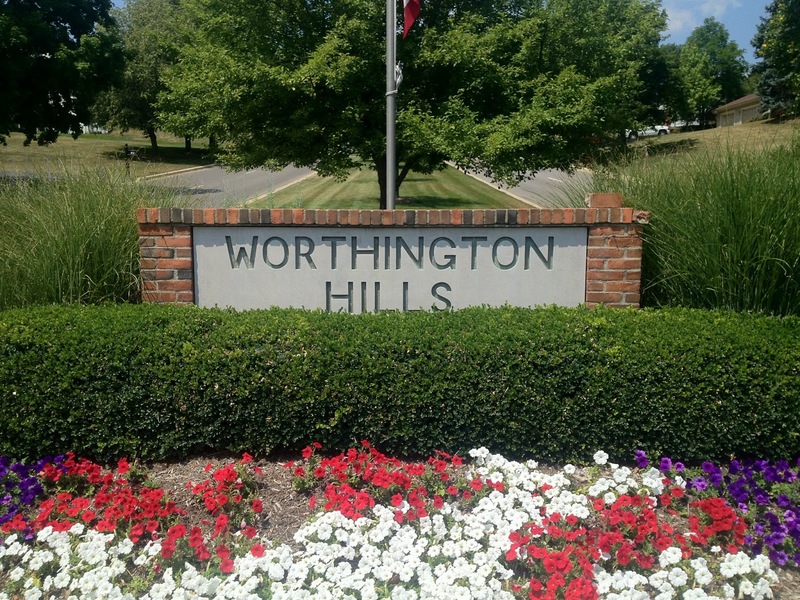 "With a country club and elementary school right in the neighborhood, Worthington Hills is a great place to live and play. Quality construction and reasonable property taxes, community events, and being so close to everything in Worthington is priceless." Real Estate Sales Statistics for Worthington Hills have remained relatively steady through the last few years of the real estate market in Central Ohio. Is low inventory helping to sell New Construction? The more I get caught up on my reading about the Columbus Ohio real estate market for 2012, the more I see the trend in new construction. I think this is the perfect time to investigate your options as a home buyer. With inventory of resale homes at such a low number, it makes sense to seek out a new home. Some builders have spec homes that were built 3-4 years ago but have never been sold! There is an opportunity to choose your own finishes, get in the prime location in an area and get some great deals with interest rates being so low. Our team of Buyer Agents includes a New Homes Specialist who can meet with you to go over the entire process of buying a new home. Meeting with a Buyer Agent first is key, especially since builders have been slow for the past few years. You need your own agent to guide you through. We'v been watching the market every day through the whole up and down cycle. We get it! And we will share our expertise with you. Or Click here to contact us on the web. Gorgeous waterfront living! Secluded condo w/wooded views in gated community offers 1st floor living w/patio, neutral decor, white kitchen in quiet setting. New windows in 2009, new bathroom tile in 2011. Large laundry facility, tennis courts & inground pool nearby.Consider the location: less than 5mi to Downtown Columbus, 3mi from OSU, 5 minutes from movies/shopping and 15 minutes to the airport!. Learn more about this property and look at all available pics here! REAL value of your Grandview Ohio home. Mobile App - It's real and it's fabulous! I’ve compiled a list of links that may be helpful to you in finding out information about Ohio and our cities and suburbs. Let me know if there are specific interests that you have and I'll send you as much information as I can. © Joan Defenbaugh 2010. Awesome Inc. theme. Powered by Blogger.